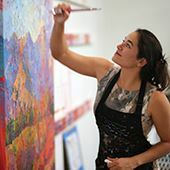 The annual exhibition Cowgirl Up!, presented by Desert Caballeros Western Museum, showcases the brightest female Western artists of our time. Each year, Western-focused artists working in any medium present their work in an exhibition spanning from the end of March through mid-May. This event and exhibition brings artists, collectors, and enthusiasts together in a celebration of the American West. “I love the silence in the winter, when you can stand all alone at the edge of the rim, surrounded by vast, quiet beauty in every direction. This painting captures the transient light of early dawn." Erin was honored to receive recognition for this piece during the esteemed Cowgirl Up! exhibition. As the Desert Caballeros Western Museum notes, Cowgirl Up! 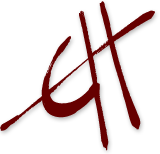 is first and foremost an exhibition, showcasing the entire body of work all in one location, throughout the duration of the show. 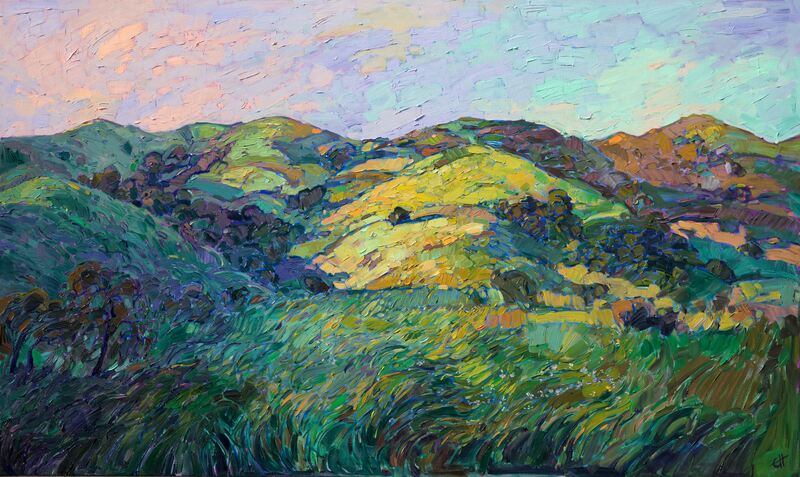 We hope that sharing Erin Hanson’s unique perspective of the Western U.S. with other artists, patrons, curators, and collectors brings light and joy to the lives of all who view her work. 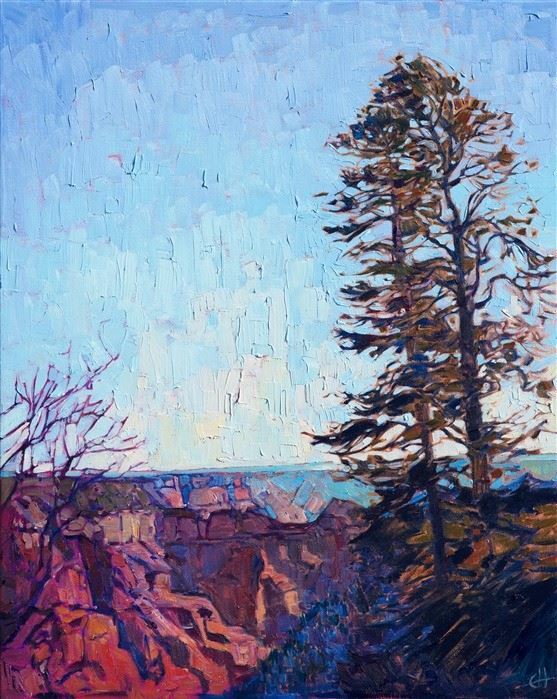 If you would like to enjoy more of Erin Hanson’s unique Open Impressionist style, take a look at her portfolio or view the works in person at The Erin Hanson Gallery.